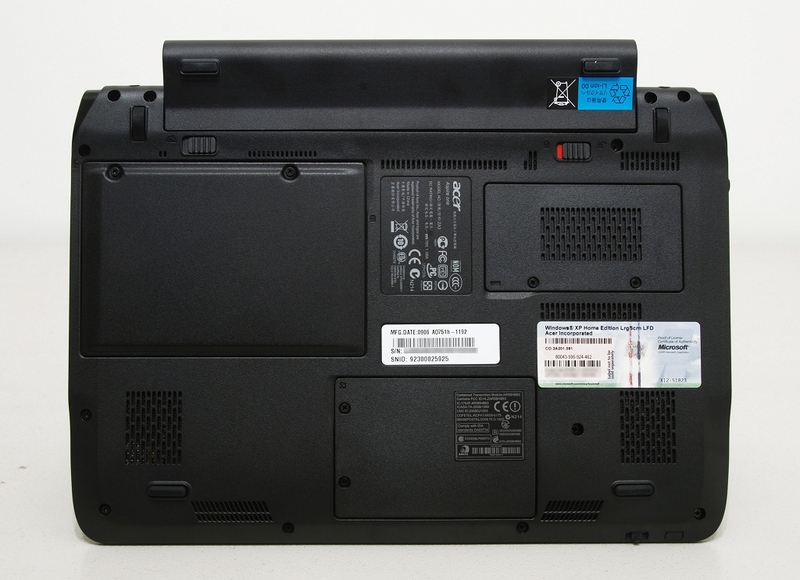 The front of the Aspire One 751h has a single slider switch to enable / disable the built in Wi-Fi. On the right side, you'll find a multi-in-one card reader (SD, MMC, MS, MS PRO, xD), a single USB 2.0 port, Kensington lock slot and a VGA out port. The backside of the unit is plain with only the battery bay; while the left side features an Ethernet port, DC-in jack, two additional USB 2.0 ports, microphone-in and headphone jacks. Although the layout is slightly different, this is pretty much the exact same setup as the original 8.9" Aspire One we reviewed a few months back. I like how Acer has angled the Ethernet and VGA out port slightly, though; it should help a bit with cable management when using these features. 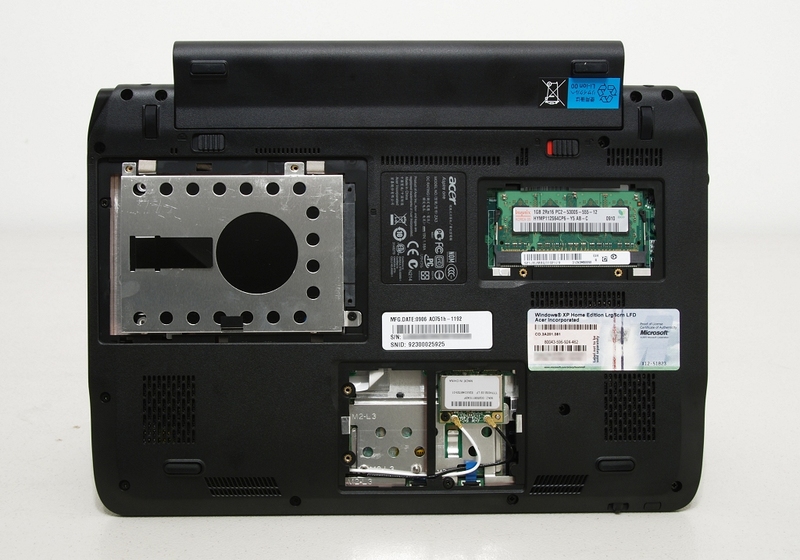 Acer made a few changes to the bottom of the netbook, where we now find individual removable access panels for the hard drive, memory and wireless bays. This is an improvement over the original design which required to remove the entire bottom cover to access its various expansion ports. The unit uses a single memory slot, so upgrading would mean discarding the included 1GB module in exchange for a larger capacity stick. We also find four rubber feet, battery release latches, ventilation slots and two downward-firing speakers located near the front of the system. 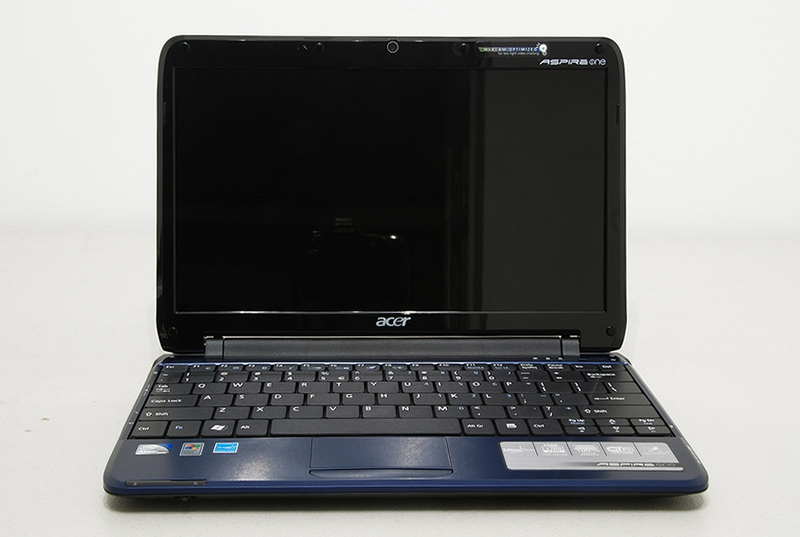 The 11.6-inch, 1366 x 768 display (both rare characteristics for netbooks) is a nice upgrade from the smallish 8.9" screen of the earlier Aspire One. As mentioned before, the increased size also allows for a full-sized keyboard, another substantial selling point of this system. 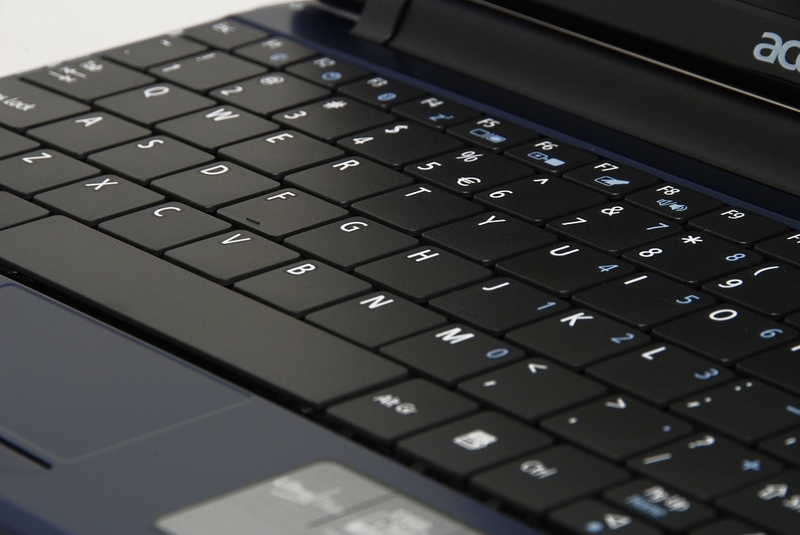 Even the keys are something different for Acer. The previous model used concave keys while this new unit has flat-top keys. A webcam is centered above the glossy screen. 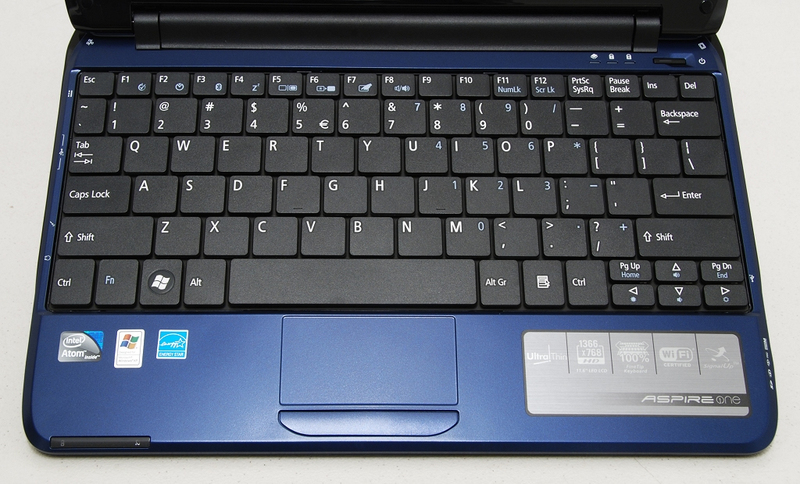 Just above the keyboard on the right side are LED status indicators for the hard drive, Num Lock and Caps Lock with the power button rounding out the area. The touchpad / mouse click buttons on this new unit are another step in the right direction for Acer. The previous Aspire One had a small touchpad with mouse buttons on either side of the pad - which I could never get used to. In contrast, the 751h sports a wider surface and multi-gesture system that allows users to pinch, flick and swirl their fingers to zoom in and out, flip through web pages, pictures, spreadsheets and more. Acer also moved the mouse buttons below the pad, where they should be, although in a single piece configuration. Most users prefer separate buttons here.